A big “Thank You” to our Sponsors IMCD and DSM, Presenters, Exhibitors, Attendees, and Villa Maria who contributed to making Suppliers’ Day 2018 such an informative, successful, and entertaining day and evening. Please give us your feedback on Suppliers’ Day 2018 via the attached SURVEY LINK. 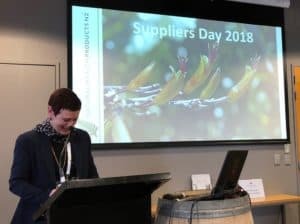 We welcome your feedback which will be used to make Suppliers Day 2019 even better.